Former Tennessee Titans owner, K.S. 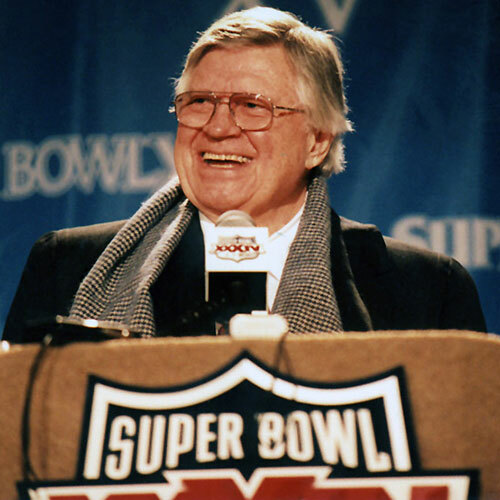 “Bud” Adams Jr., was named the inaugural winner of the award. Adams, a veteran of the U.S. Naval Reserve who served during World War II, was a longstanding advocate of servicemen and women, hosting more than 12,000 troops at Titans games. 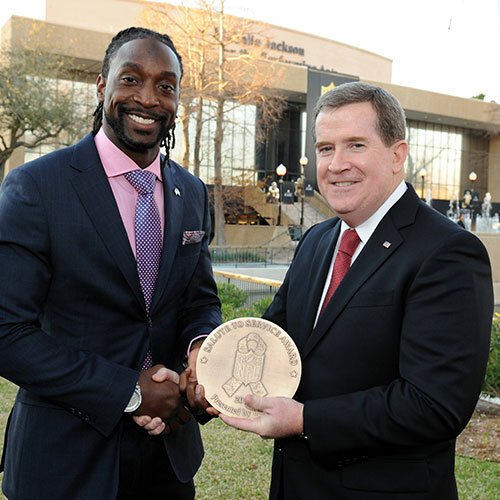 Two-time Pro Bowl player Charles Tillman, whose father served 20 years in the Army, provides critically ill children of military families access to computers, DVD/MP3 players, and other electronics at Fort Hood and conducts youth football camps on military bases. 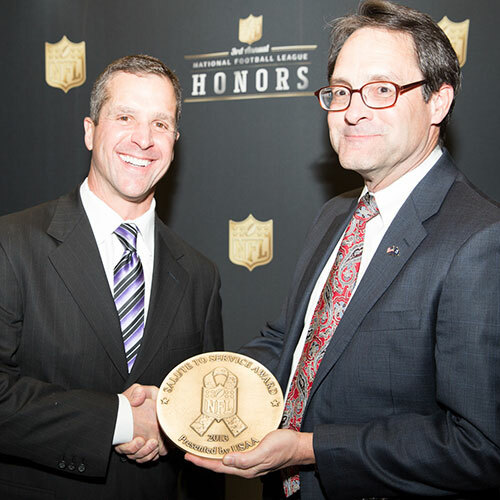 Super Bowl-winning coach John Harbaugh has participated in an NFL-USO coaches’ tour of the Middle East visiting numerous military bases, has instituted Military Appreciation Day at Ravens training camp, and invites Wounded Warriors as his guests to every home game. 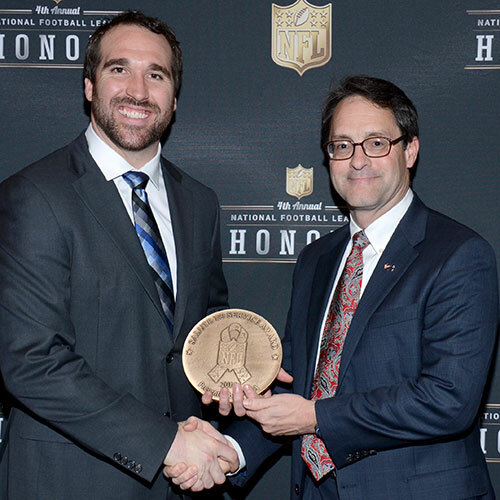 Five-time Pro Bowler Jared Allen makes homes accessible for veterans who return from war with debilitating injuries by building, purchasing, or remodeling homes to fit the lifestyle a disable soldier faces. Since the organization’s inception in 2009, $3.5 million has been raised with the goal of donating 10 homes per year. The proud son of parents with a combined 25 years of service in the Army, the self-proclaimed “military brat” has focused his charitable efforts on finding new and innovative ways to connect with those whose path he’s walked. 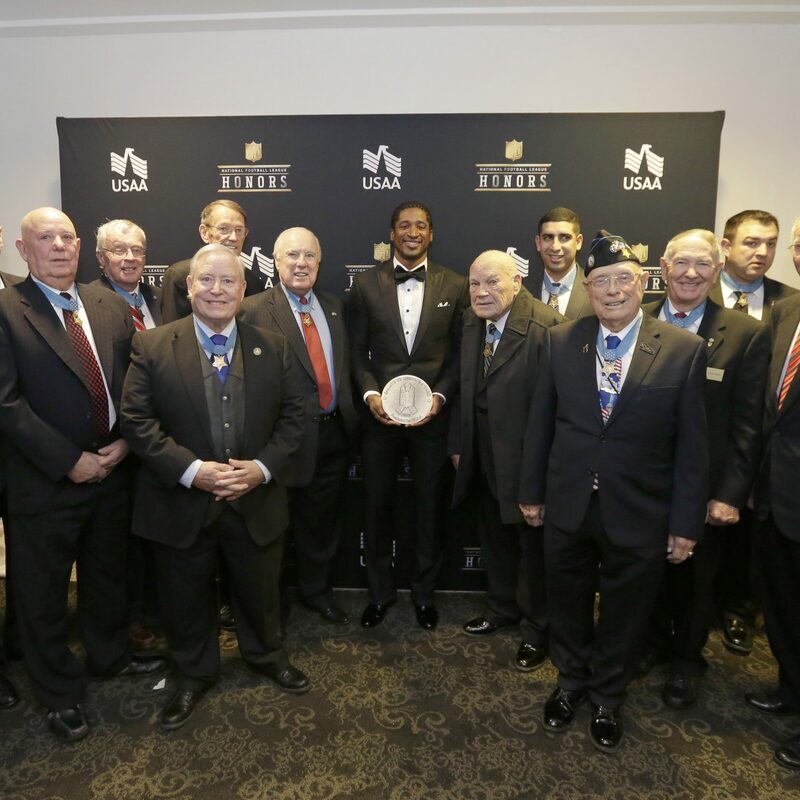 Jackson launched the Jackson In Action 83 Foundation on Veterans Day in 2012 to support military families by focusing on the educational, emotional and physical health of military children. 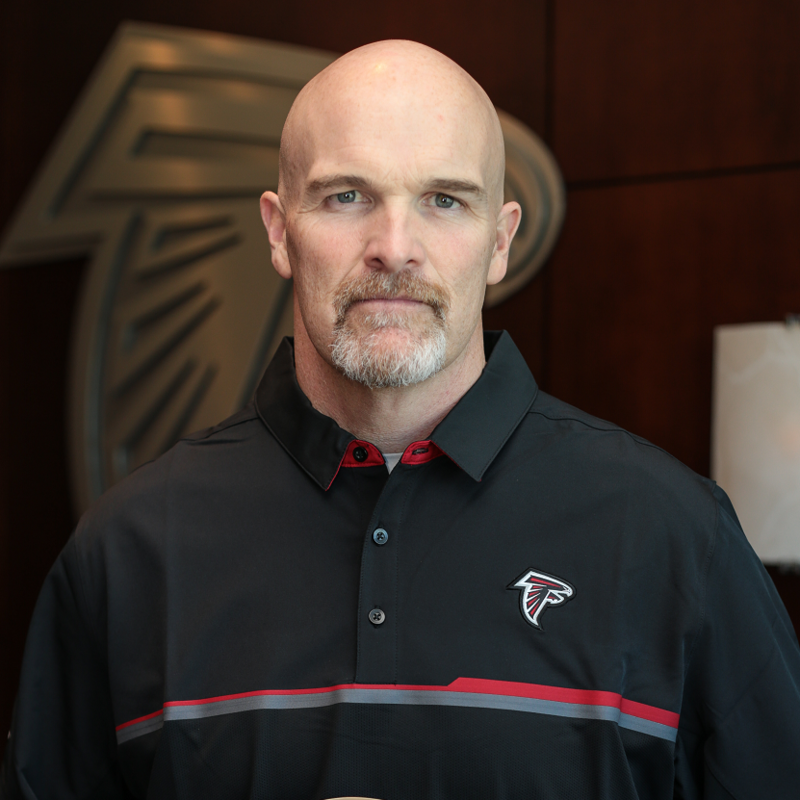 Despite not having a military background or family connection, Quinn supports TAPS by having players wear the initials of a fallen soldier on their helmet, with the player having the opportunity to meet the family soldier represented to connect on a more personal level. Andre Roberts’ passion for the military stems from his childhood, growing up with parents serving in the U.S. Army. 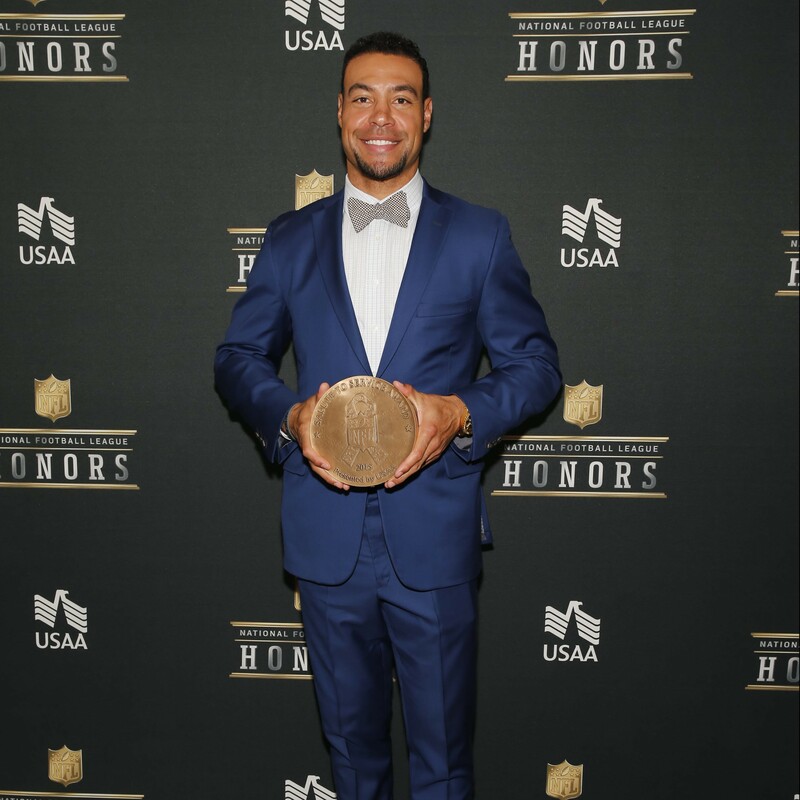 Andre has expressed extreme gratitude to the military through visits to VA hospitals, spending a day fishing with veterans at ‘Fishing with the Falcons’ as well as hosting football clinics for military children. Learn more about the NFL Salute to Service campaign and military appreciation efforts at NFL.com/salute.